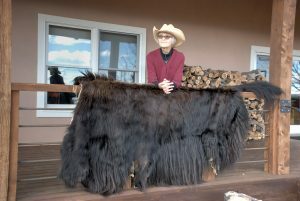 Winter yak hide (very soft) from a yak cow. Molly’s new bull baby born this afternoon. His father is Oscar the bull. This is a photo of Vader and his parents, James Bond (Q007) and Valentine, before we took him away with the other calves from last year. They grunted and paced for a few days but all is well now. Vader will be a big boy (imperial like his dad). 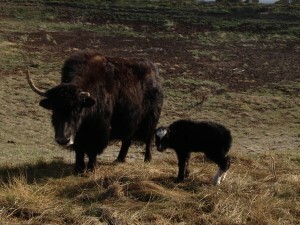 •	Yak fiber can be as fine cashmere or quiviut or alpaca? •	Yak fiber can have a micron count of as low as 18, which is considered to be at the low end of the spectrum for fineness in a fiber bearing animal? •	Yak fiber is collected not by shearing but by combing? •	In addition to being very soft and fine, yak fiber is durable, water resistant and unlike sheep wool, has very little “grease” content? •	The finest fiber that can be harvested from a yak is a soft down that the animals grow in the winter months to keep them warm and shed when it starts to get warmer? 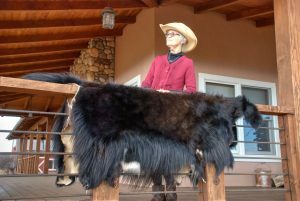 •	Besides the soft down of the yak, these animals also have a courser fiber that can be harvested to make lead ropes, bracelets, saddle blankets, rugs, reins, halters cinches and cat and dog beds? 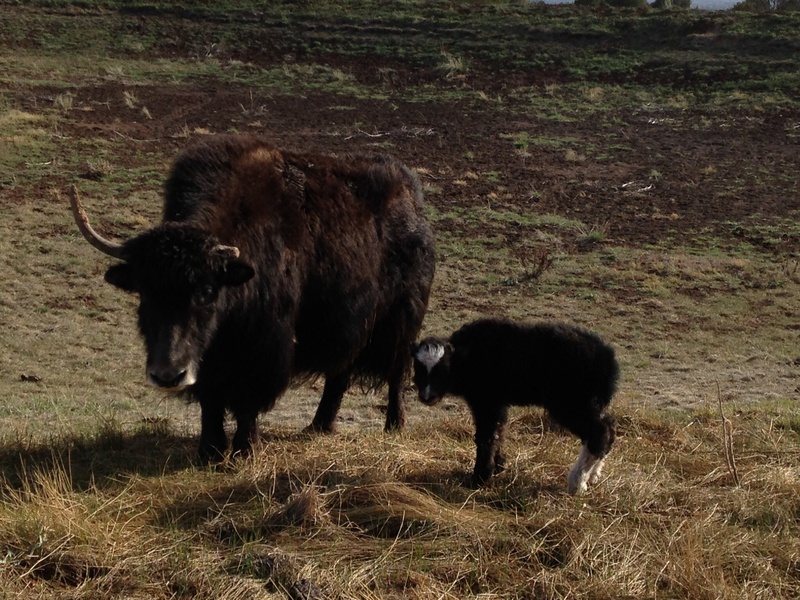 •	How rare USA raised and harvested yak wool is? 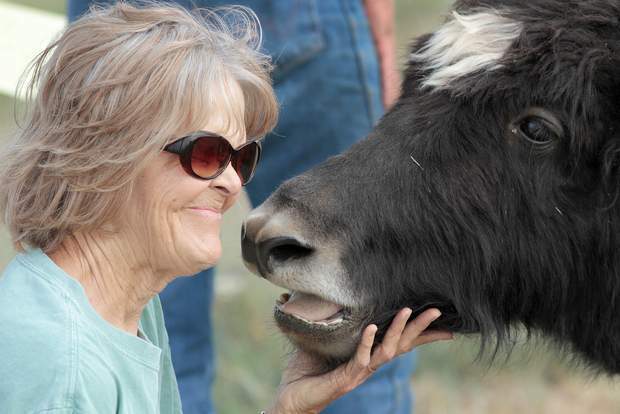 •	Some of our best designers in the USA are using yak down in their garments? 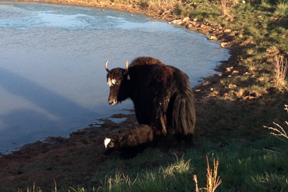 •	Yak fiber is 10 to 15% warmer than merino wool? •	Yak fiber is breathable, absorbs moisture and odor, and lets moisture out? •	Yak fiber is resistant to static electricity? 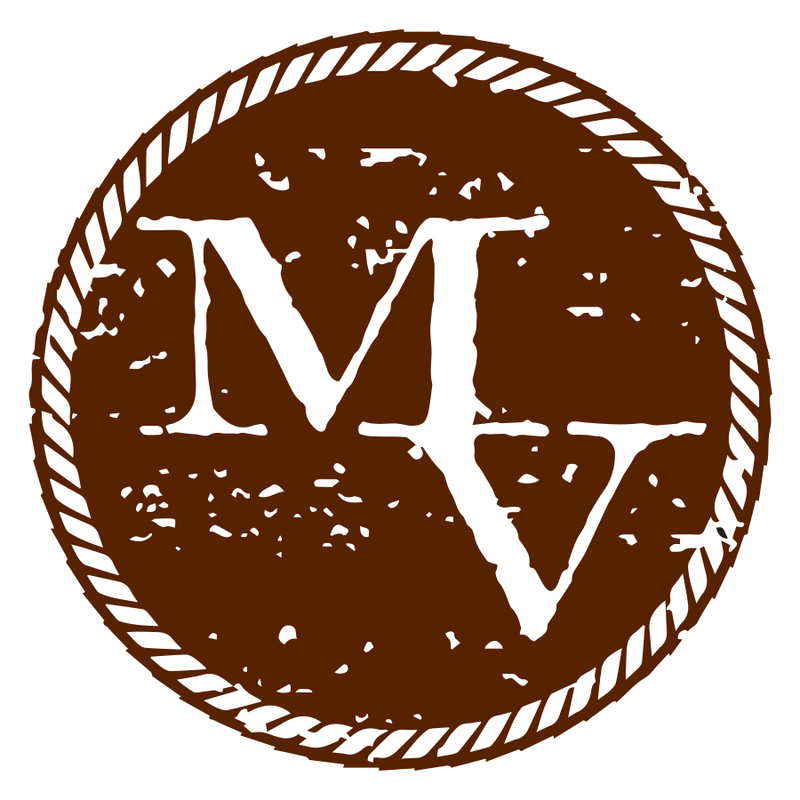 •	We sell raw fiber at Mesa View Yak Ranch? 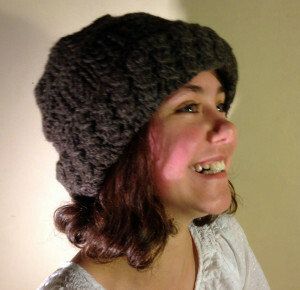 •	We sell hand knitted cowls, caps, and scarves made of yak fiber at Mesa View Yak Ranch? Two-layer knitted cap using blended fibers. 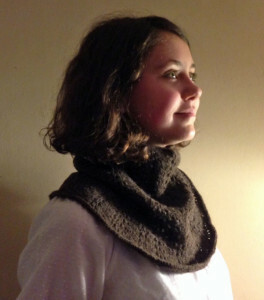 If you have any question about yak fiber, yarn, products, or knitting, please write on our blog. 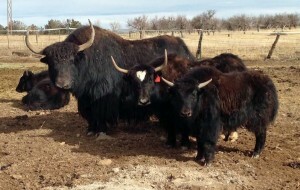 I love to “yak” about yaks!